Kevin and I decided to check out some of the York County Heritage Rail Trail on our bikes today. I absolutely LOVE rail trails as you can usually cover some pretty decent mileage on flat terrain with amazing views. 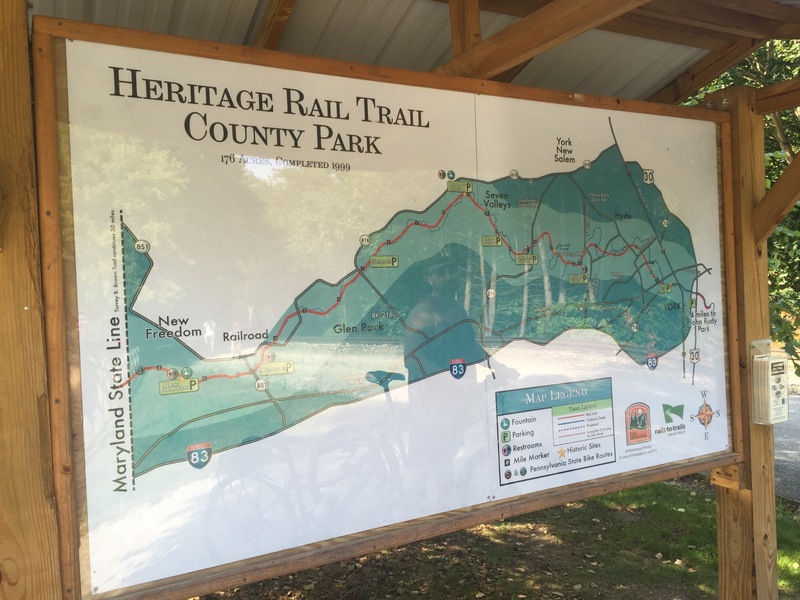 The trail is approximately 20 miles long and also connects at the Mason Dixon Line to the Northern Central Railroad Trail (AKA the Torrey C. Brown trail) which is a 20 mile rail trail in Maryland. I had done a portion of these trails in the beginning of the summer with my Mom, but there were sections that I had seen pictures of online that I wanted to check out – so we grabbed our bikes and headed out!